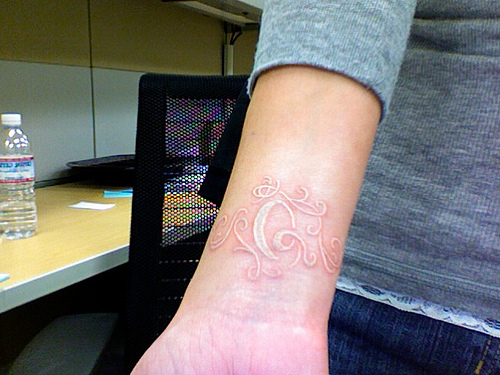 White ink tattoos have become very popular in recent years. 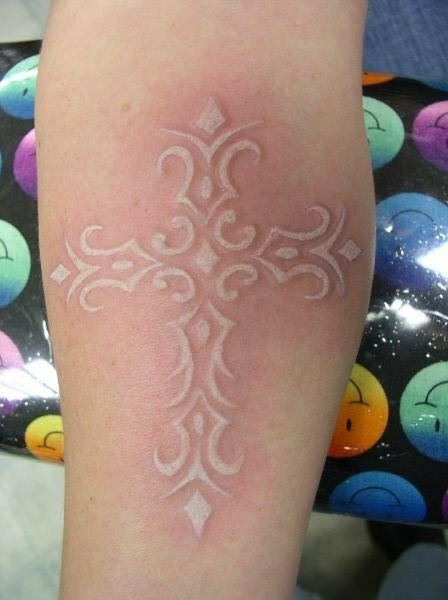 A white ink tattoo design can be of any other style of tattoo except that it is drawn in white ink. 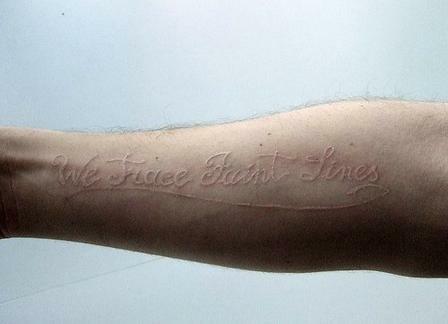 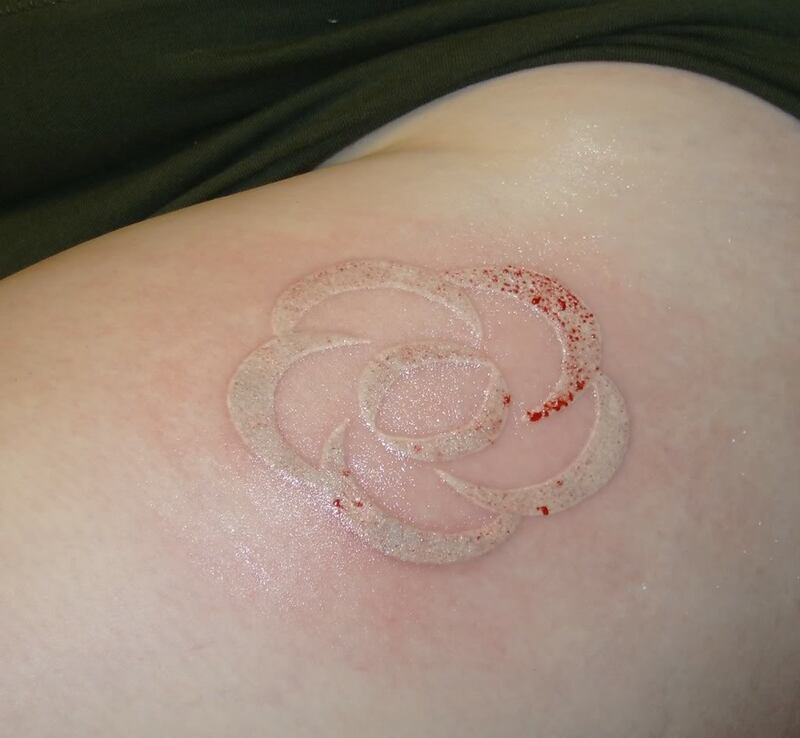 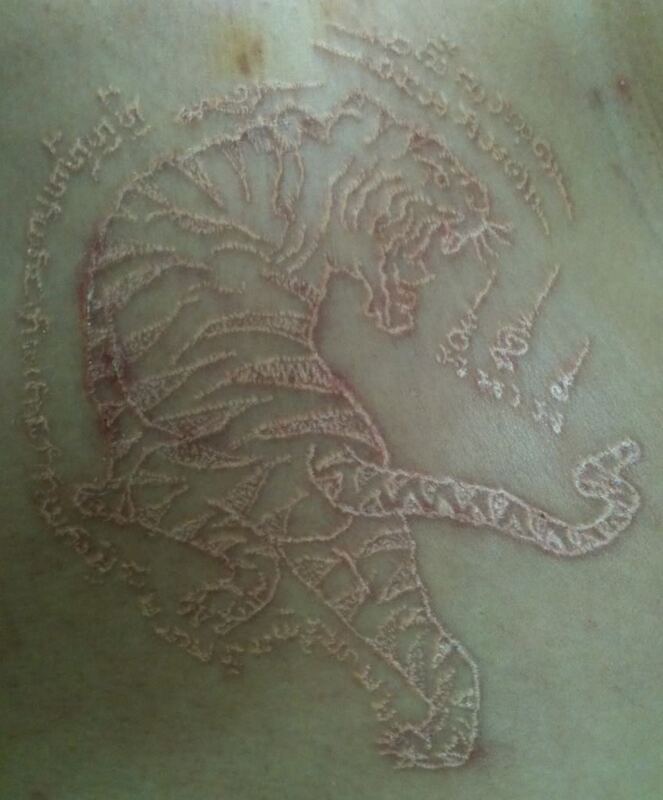 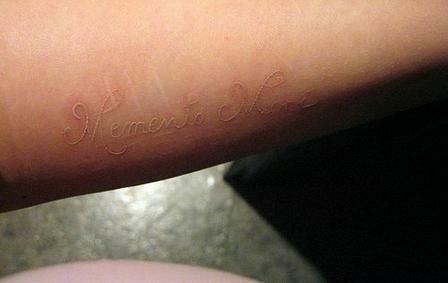 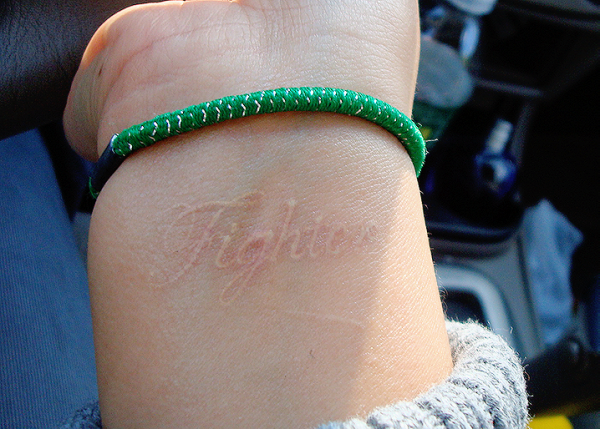 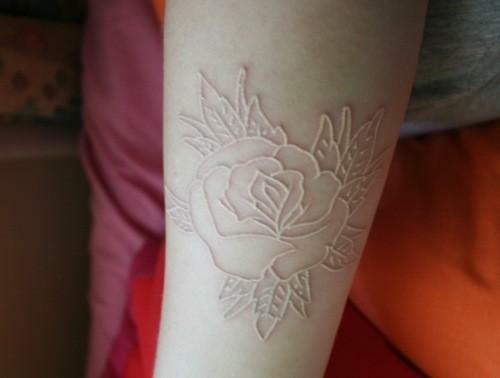 At first glance, a white ink tattoo design can look more like a scar than a tattoo. 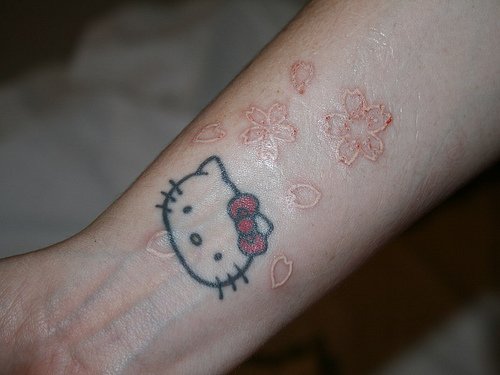 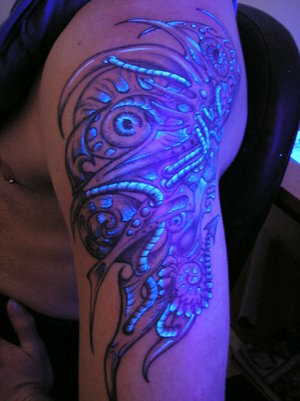 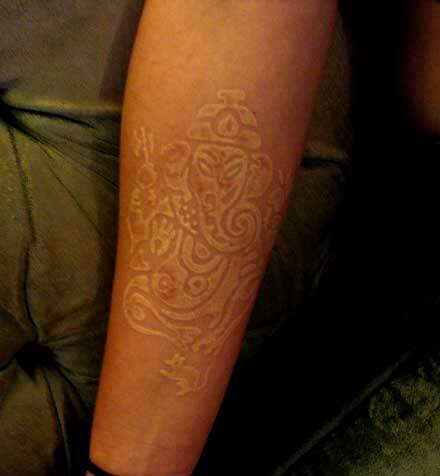 This can give them a ghostly appearance – a completely different look to a normal tattoo. 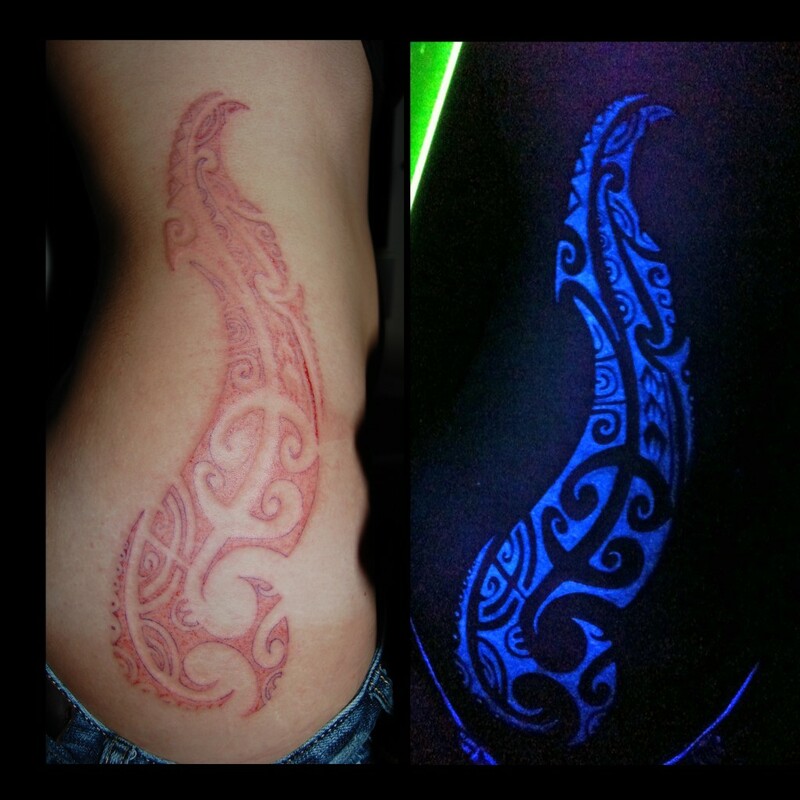 The effectiveness of a white ink tattoo depends a lot on your own natural skin color. 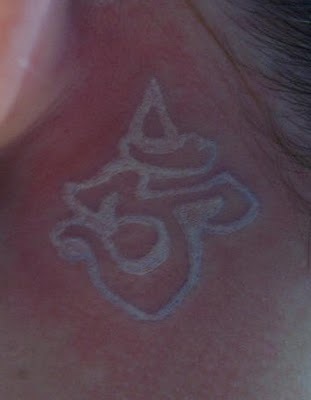 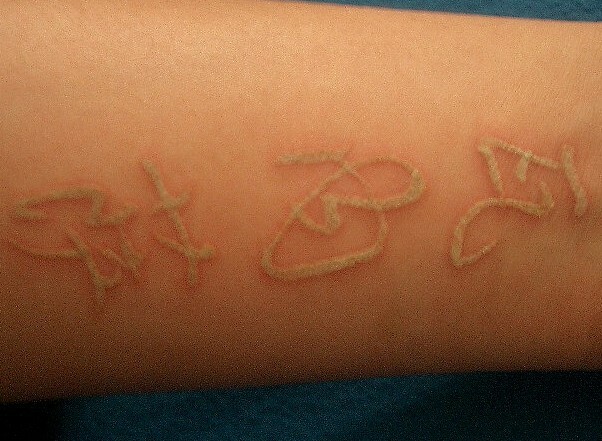 White ink tattoos are best for people with pale skin and few freckles. 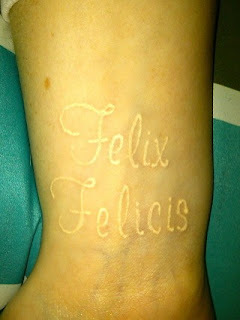 Too many freckles can make a white ink tattoo look uneven. 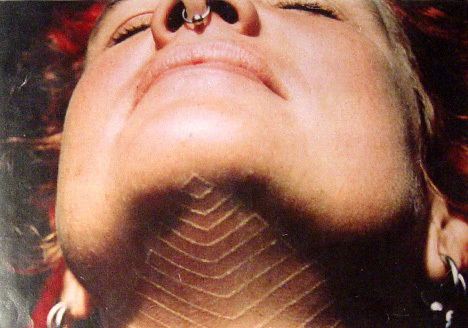 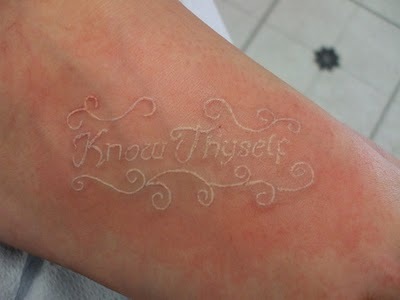 If you have very dark skin a white ink tattoo will tend to look quite transparent. One advantage of white ink tattoos is that they are much less noticeable than tattoos in black or brightly coloured ink. 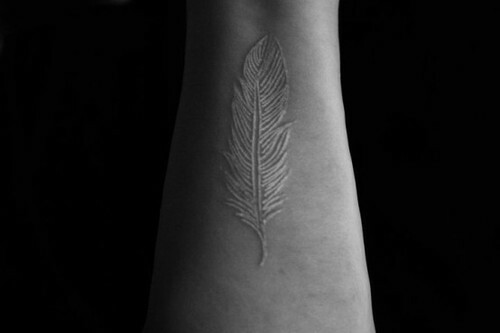 If you want to get a tattoo somewhere quite prominent, like on the wrist, but keep it quite low-key and discreet, then a white ink tattoo could be a very good choice. 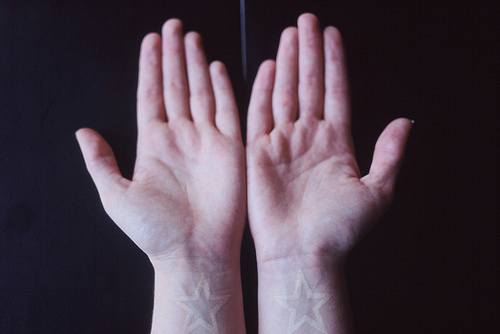 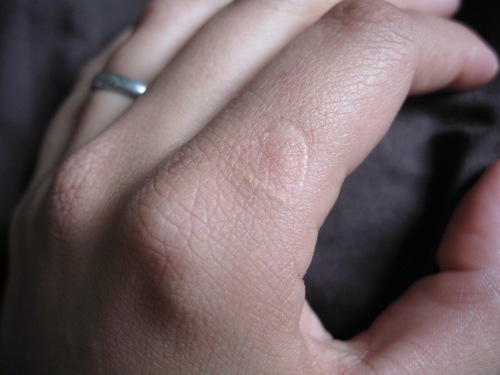 A small white ink tattoo on the inside of the wrist would only be noticeable under pretty close inspection. 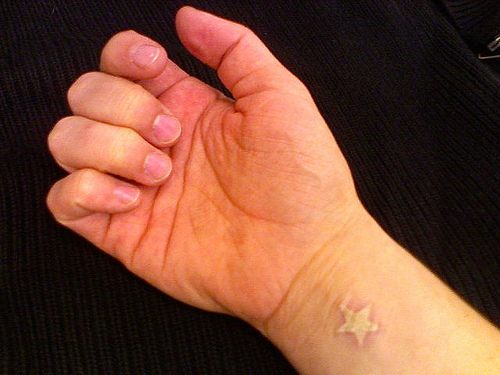 It’s almost like a secret tattoo. 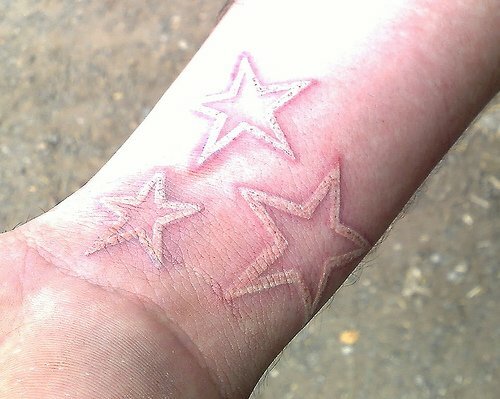 This makes them a good choice for people who want a tattoo in such a place, but need to project a certain image for their work or home life.